The Altima is no stranger to these pages…in fact, it’s one of our most frequent sedan visitors. However, with a revised 2016 model that includes more than just a nip and tuck treatment, it’s a sedan worth revisiting. I’ve been eager to get my hands on the latest CTS ever since the car came out. For those living under a rock, Cadillac’s gone through a bit of a renaissance lately, and is churning out great product pretty much all over the place. The last-gen CTS was the first indicator of good things to come, even if it was a little rough around the edges in some places (the bombastic CTS-V gets a pass, here). The renewed Escalade is still a big brute, but compared to its competition, it’s basically without peer in terms of desirability and image. Really, though, it was the ATS that acted as a harbinger of the Germanic focus on weight, ride and handling that we almost take for granted in Cadillacs now. Interior shots courtesy of Kia Media. If you’ve read any automotive publications over the last, I don’t know, four years, it should come as no surprise to you that Kia is riding a significant wave of new products to a dominant slot in the U.S. market. We’ve done our fair share in contributing to that publicity. Forgive us then another Kia review, this time of a remarkably good subcompact that we’ve praised twice before. 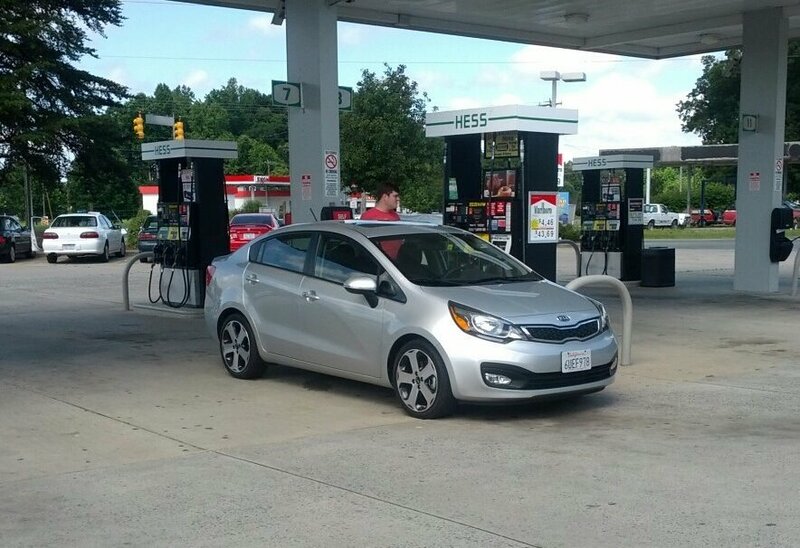 When I compared the Kia Rio SX 5-Door to its platform brethren back in February, we praised it for its superior suspension tuning and steering calibration—characteristics that 99% of Rio shoppers will never ever notice, let alone care about. But this time, we did something to put the Kia’s strengths into a context shoppers can understand: we took it on a road trip.